You may have been hearing lately about something called the Green New Deal. What is it? The original New Deal was Franklin D. Roosevelt’s sprawling 1930s policy package in response to the Great Depression. It was lauded as the Keynesian/capitalist alternative to Communism. It also provided the infrastructural and cultural foundation for the United State’s rise to the helm of global super powers in the second half of the 20th century (while perpetuating the racism and sexism that is still with us today). Bearing its namesake, the Green New Deal has been catalyzed by a confluence of the Great Recession, and runaway climate change. In 2007, Tom Friedman wrote a New York Times column introducing his proposal for a “Green New Deal.” In this column, he cited runaway climate change and the need for industrial-scale greening of our energy infrastructure, as well as overhauls in energy policy and pricing. As Bill McKibben would later elaborate, Friedman also foreshadows a “Manhattan Project” to deal with climate change (later concluding that it is too large a problem for such a solution). 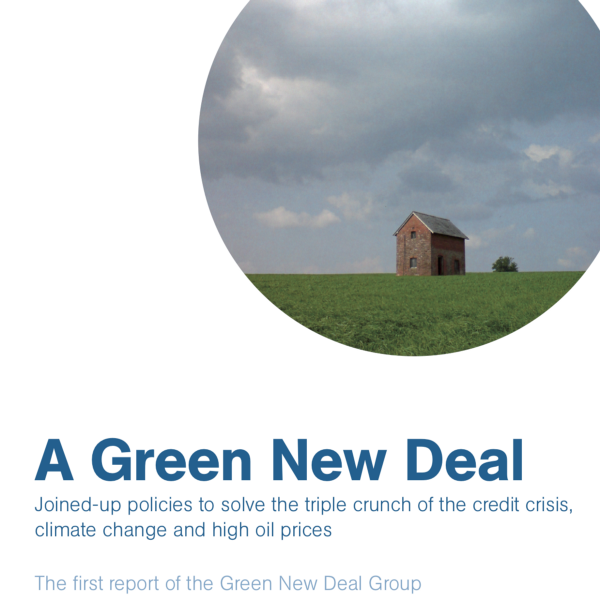 In 2008, the London-based New Economics Foundation (NEF) published a whitepaperoutlining a comprehensive plan for a Green New Deal. It didn’t just discuss green energy, but also proposed breaking up any banks that were “Too Big to Fail,” restricting international finance, creating standards for the justification of derivatives, and closing international tax havens. It also discusses aid to countries that otherwise wouldn’t be able to afford the necessary upgrades, including through loosening of IP. Although Obama included $90 billion in green energy investment in the $831 billion American Recovery and Reinvestment Act of 2009, it fell short of becoming a Green New Deal, due to lack of scope and scale. That same year, the United Nations released a paper on a Global Green New Deal, bolstering the idea that the United States and rest of the world should step up to act for our planet before it’s too late. The House also passed $150 billion American Clean Energy and Security Act, although it failed to make it through the Senate. In 2010, Howie Hawkins, a Green Party candidate for New York’s governorship ran on a Green New Deal policy platform. Jill Stein continued in this vein for her 2012 and 2016 presidential campaigns. Scientific opinion is now coalescing around the idea that we have less than a decade to start drastically reducing carbon emissions to prevent runaway global warming. 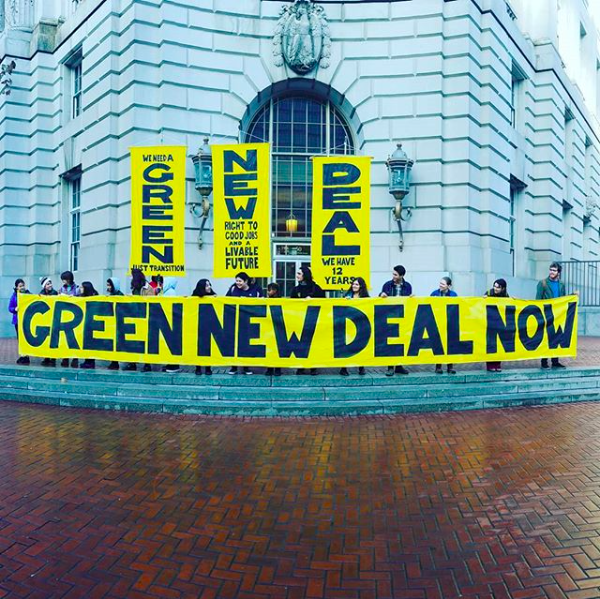 The Green New Deal started making headlines more regularly with the help of Sunrise Movement. Founded in 2017, Sunrise is a Boston-based non-profit pushing a Green New Deal. Sunrise made national news on November 13th, 2018, when superstar politician Alexandria Ocasio-Cortez joined one of their protests at Nancy Pelosi’s office. Whereas the NEF’s policy proposal focused on an international push for climate reform in concert with reforms in financial regulation, the Green Party’s platform pulls the horizon back to more of a domestic focus, and is less financially focused (regardless of its emphasis on jobs), although it maintains a strong element of social justice. It refrains from proposing massive deficit spending, and instead relies on massive cuts in military spending (although not all advocates of the Green New Deal oppose deficit spending). Sunrise Movement is currently focused on building power within the halls of government (getting dozens of congressional representatives on board within recent weeks), and a congressional committee will likely be putting forward more concrete policy proposals in the coming months. What has changed; why is the Green New Deal receiving all of this attention all the sudden? 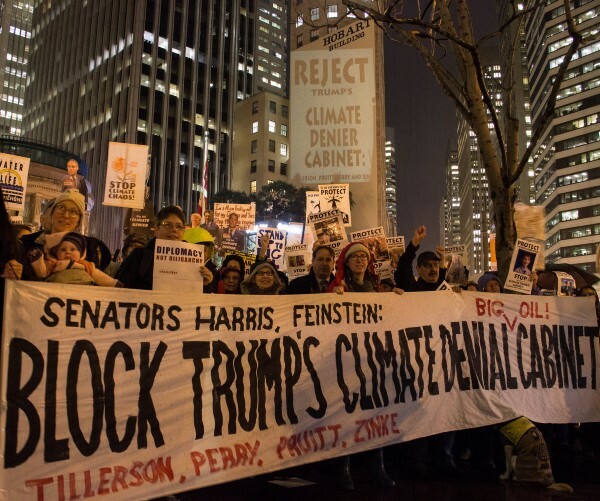 The fight against climate change in the United States really took off with Bill McKibben’s 350.org, and their ability to mobilize youth globally around these issues. 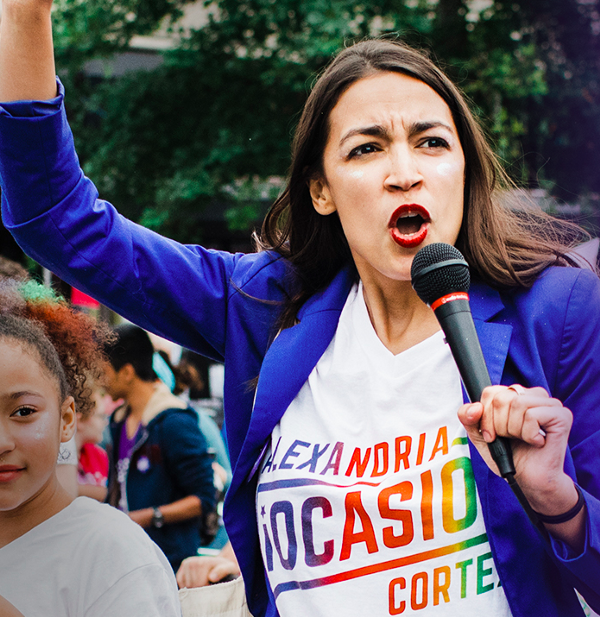 Both Sunrise and Ocasio-Cortez have fostered and leveraged youth movements, exemplifying the transformative potential of this approach. 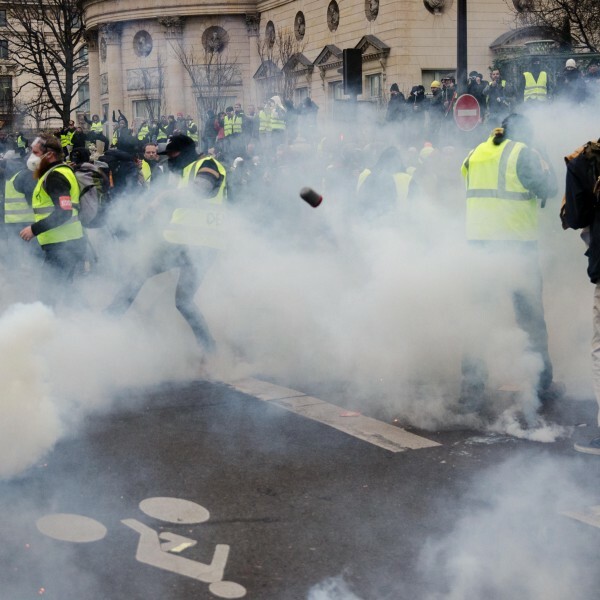 Contrary to popular belief, the Yellow Vests movement does not illustrate populist anti-environmental sentiment. Rather, it represents the failureof the moderate left to decry the utility of austerity and address wealth inequality in a meaningful way. What does this have to with the Green New Deal? If we’re going to get environmental legislation right, it’s going to need to accomplish a number of other simultaneous and synergistic aims. The Green New Deal gets a lot right. It also has a lot of room for improvement if it is to bring about the sweeping changes its authors espouse. Although energy policy is an important part of the puzzle, only land-use reform has the potential to reverse climate change. We at Regen Network advise those crafting the Green New Deal to seriously consider both how financial policy reform (as per the NEF’s original proposal) as well as the inclusion of regenerative agriculture might dovetail with their aims. 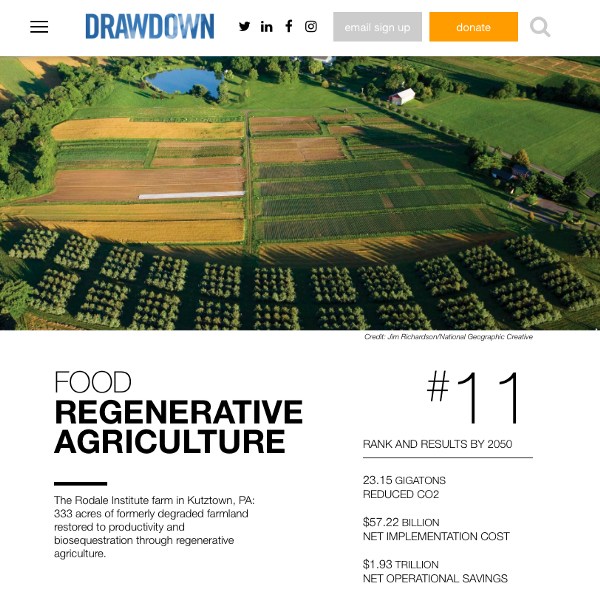 Project Drawdown, the definitive authority on climate change mitigation, has listed regenerative agriculture as their 11th top solution. Regen Network aspires to transmute human relationship with land and water, by proving the necessary insight into ecological functioning of natural systems to optimize management decisions around ecological health, and by growing the Payments for Ecological Services market, getting farmer utilizing responsible practices a living wage. For those of you in the fields of regenerative agriculture, alternative economics, and climate change, this is a great time to contact your representatives and roll up your sleeves to help craft policy that could help create a livable future. In closing, it is worth noting that even a Green New Deal can’t save us from a dying planet. One facet of this crisis—recently featured in the New York Times and the Guardian—is the cataclysmic crash of insect populations. The title of the former article aptly sums it up: The Insect Apocalypse is Here. What does it mean for the rest of life on earth? Although climate change is a factor in these trends, it isn’t the primary cause. Looking at another facet: industrial-scale green energy may solve our emissions issues, but it won’t solve our resource depletion issues. Batteries, solar panels, and wind turbines are all still very resource-intensive, and require massive mining and manufacturing operations. 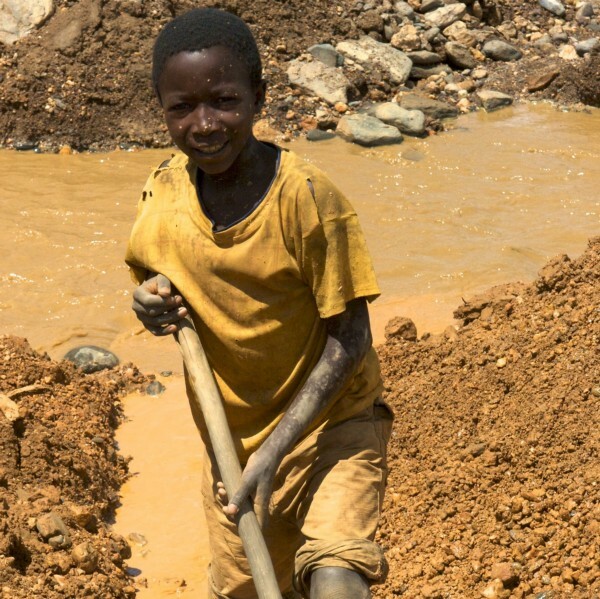 In illustration of one hurdle: cobalt (the primary metal used to create lithium-ion batteries) has often been described as a conflict mineral, produced with significant human and environmental harm. If anything, these facts remind us that there is nothing radical about the Green New Deal. If we want to create a future for humanity, we will need to do far, far more than simply reverse climate change.